Mugg & Bean is a restaurant chain with generous servings and high quality bottomless coffee. Ben & Judy Filmalter opened the first Mugg & Bean in 1996 at the V&A Waterfront in Cape Town. 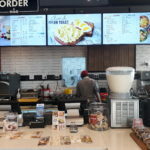 In less than 7 years Mugg & Bean had grown to over 80 restaurants nation wide and can be found currently in hundreds of locations across the African continent. Moving Tactics installed a 24-hour rated digital menu board solution, which consists of commercial grade screens. 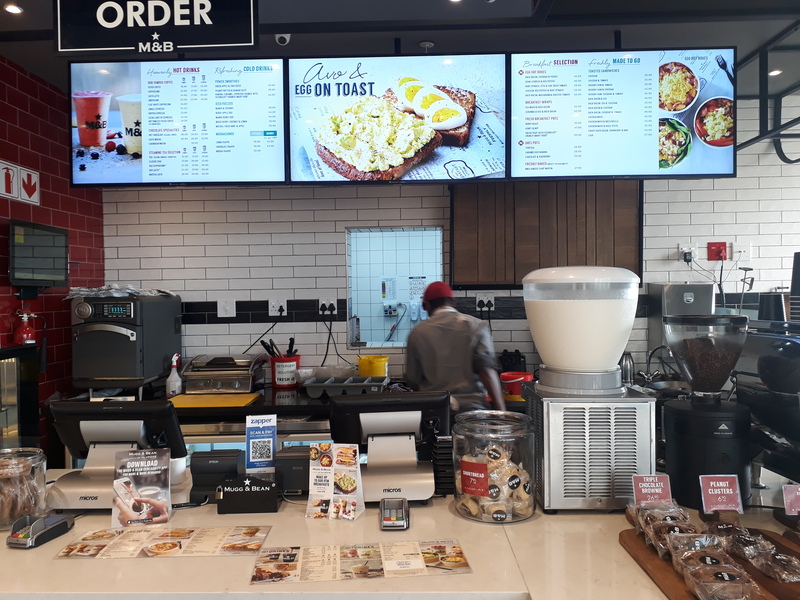 In-store audio has been installed into specific Mugg & Bean Franchise stores. These screens have been strategically placed to display the latest current promotions and full menu, all of which are monitored and centrally managed by Moving Tactics.